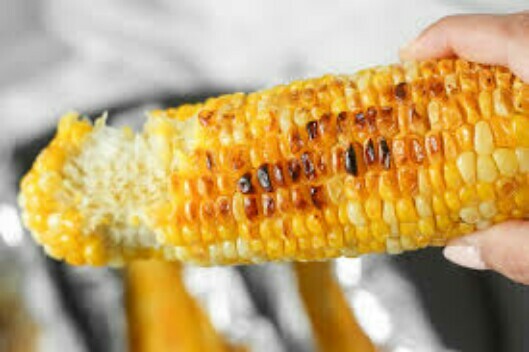 This is a random post to appreciate roasted corn. There is nothing like the flavour of corn roasted on coals! It's on my top 3 favourite snacks. It is one thing that gives me plenty of chewing satisfaction. I love love love it! Sometimes the best food we find happen to be street food. While I would be careful to eat street food, I wouldn't be too careful with roasted corn. Honestly, that's where all my money currently goes into. Anyone who has eaten fresh roasted corn-on-the-cob knows how satisfying this food can be to chew. I was somewhat worried about my cravings, so went on to search on Google for any health-related consequences on eating roasted corn. "Corn is a surprising source of several vitamins, including folic acid, niacin, and vitamin C. The folic acid in corn is now known to be an important factor in preventing neural-tube birth defects. It's just as important in preventing heart disease, according to studies that show folic acid can prevent a buildup of homocysteine, an amino acid, in the body." Did you read that part? Corn serves a function in the prevention of heart disease. What's there not to love?! As I eagerly get off the bus from work. Feeling so tired and hungry. And probably not smiling. His smell waft through the air as the rain falls gently upon the streets. He must be close by. On taking few steps, I see him. Our eyes meet. He smiles at me. Not being able to resist his charm, I smile back. Being fair in complexion with dark sparkling spots, he sits in a black stool decorated with red flames. I try to ignore him but I couldn’t resist his loveliness. I asked the guardian pampering him to let me have him. She was more than happy to let him go. Wrapped in an old newspaper, I tenderly touched him and quietly took a bite of him. Yum, my world suddenly brightens. Then I ask myself “what can separate me from the love for roasted corn?!" I figured some of that satisfaction we derive from corn comes from its fiber content. When you take a bite, you chew and chew and chew. Each chewing has its flavour. 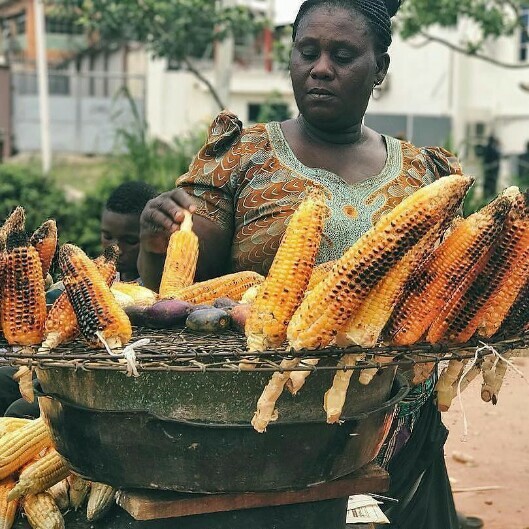 If you agree with me that roasted corn is bae, say something in the comment box. Let us know ourselves. Lol. P.S Our giveaway ended on June 30th but grace was extended for a week. Knowing it is expected of you to leave comments on each post from the day of posting about the giveaway till the end of the month of June to stand a chance to win, I was somewhat gingered to blog more than three times a week. So it's a win-win for all of us. Winners will be announced tomorrow. Yay!